Posted: Thursday, February 7, 2019. 7:28 pm CST. 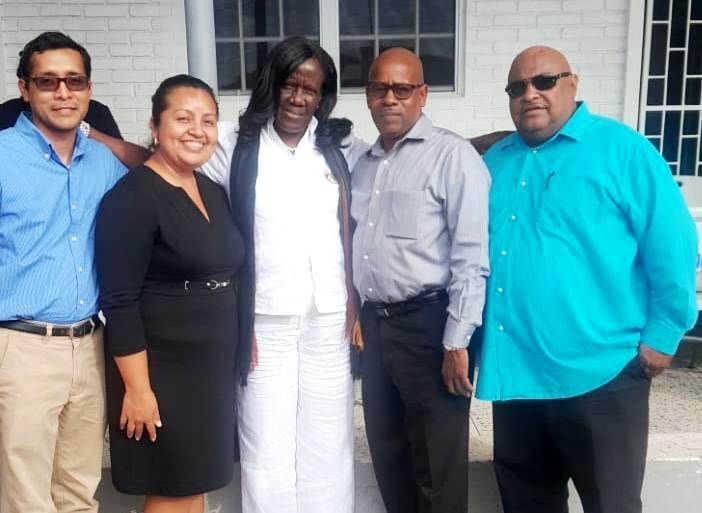 By BBN Staff: NEMO’s Central Region Coordinator (with responsibility for Cayo and Belize Districts), Al Westby, is among a team of Belizeans currently attending a consultation for Disaster Risk Reduction Actors in Guyana. The consultation seeks to develop a Protocol for the Integrated Protection of Children and Adolescents in Disaster Situations. This Protocol will support emergency units to ensure that the needs of children and adolescents are met in emergency response strategies and programs. The initiative was spearheaded by Guyana’s Civil Defence Commission (CDC) in collaboration with UNICEF, the Caribbean Disaster and Emergency Management Agency (CDEMA) and the Belize National Emergency Management Organization (NEMO). The Consultation is being conducted at the Civil Defence Commission’s Headquarters in Georgetown, Guyana.